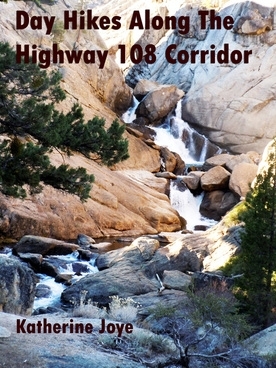 California Naturalist Katherine Joye wrote a guidebook for hikes in Tuolumne County. California Naturalist Katherine Joye will discuss a guidebook she wrote, "Day Hikes Along the Highway 108 Corridor," tomorrow, March 19, at the Tuolumne City Museum, reported the Union Democrat. An avid hiker since high school, Joye looked for a hiking guide when she moved to Tuolumne County in 2008. When she couldn't find one, she decided to write one herself. Joye spent two years researching the book. Joye has a bachelor's degree in physiology, a master's degree in exercise physiology and both a life and physical science teaching credential, all from the UC Davis. She has taught science to fourth- through sixth-graders, biology to high school students and nutrition and performance, physiology, anatomy, biology and microbiology to college students. Joye volunteers through a Tuolumne County program where she teaches science to students at Chinese Camp school. She is a certified UC California Naturalist, having completed 40-hour classroom program and a capstone project required by the UC Cooperative Extension program. She and other UC California Naturalists recently helped transform the Sugar Pine railroad grade into an interpretive trail with other California naturalists.